Kevin Drew, M.D. established Michiana Spine in 1997. Dr. Drew was called by our Father to use the best medical options available, combined with compassion and relationships, to restore our patient's body in the image of our Maker. Following his desire to provide the best care and treatment for his patients, Dr. Drew expanded Michiana Spine to four connected practices: Integrated Pain Specialists at Michiana Spine, The Arthritis Center at Michiana Spine, The Physical Therapy Center at Michiana Spine and The Bone Health Center at Michiana Spine. Michiana Spine has grown to four offices and continues this vision in Mishawaka, IN and Niles, St. Joseph and Kalamazoo, MI. Dr. Drew attended Andrews University in Berrien Springs, MI and received his medical degree from Loma Linda University in California. Devoted to faith, family and healing, Dr. Drew and his wife have six children. He welcomes new patients and comes to work each day to help his patients recapture their life. One of the nation's most distinguished Rheumatologists, Dr. Swartz joined Dr. Drew in 2015 to form The Arthritis Center at Michiana Spine. 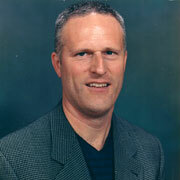 Dr. Swartz received his Bachelor's degree from Kalamazoo College. He then graduated from Yale University School of Medicine. While attending Yale, Dr. Swartz was working in the treatment of children with immunodeficiency disorders when he became interested in how the immune system is involved in the cause of autoimmune diseases. This interest fueled his professional career. First, Dr. Swartz completed his Residency at Yale-New Haven Hospital. He then studied further as a Fellow in Allergy and Clinical Immunology at Yale before joining Johns Hopkins School of Medicine as a Fellow in Rheumatology. Dr. Swartz then shared this passion, first as an Instructor and Assistant Professor at University of Chicago and later as an Assistant Clinical Professor of Medicine at Michigan State University. 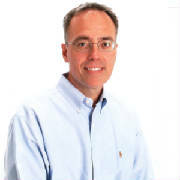 Dr. Swartz has wriNen many articles and abstracts which have been published. In 1993, Dr. Swartz moved to Kalamazoo where he endeavors daily to help his patients reduce the impact of autoimmune diseases and return to the active life they desire. A husband and father of two daughters, Dr. Swartz enjoys tennis and stone collecting in his spare time. Dr. Swartz is accepting new patients by referral in our Kalamazoo office. Appointments can be made by calling our central scheduling department at 574-252-4150. 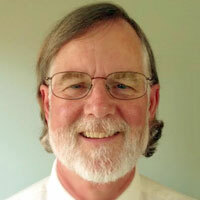 John Kittredge PA-C joined the practice in 2008. He graduated from Kalamazoo College, received his Physician Assistant degree from Western Michigan University and received his Masters degree from The University of Nebraska Medical Center College of Medicine. A lifelong resident of Southwest Michigan, Tami enjoys working with her patients on an individual basis to help restore the ability to function each day with drastically reduced or no pain. She completed her undergraduate studies at Andrews University in Berrien Springs and continued to Loma Linda Medical University in California where she completed her degree as a Registered Physical Therapist. After college, Tami returned home to begin her professional career; first at Lee Memorial Hosptal in Dowagiac and later Lakeland Home Care in Niles specializing in orthopedics. Dr. Drew approached Tami and opened The Physical Therapy Center at Michiana Spine in April, 2008. Thanks to Tami's guidance and efforts, our PT Center expanded to Kalamazoo in 2014. Tami makes certain her staff keeps up with the latest techniques and treatments to offer Michiana Spine patients unparalled care. Tami and her husband are very proud of their three children and dote on their three grandchildren. Caitlin is passionate about educating her patients on the risks and complications of osteoporosis, a disease most people only learn they have after breaking a bone. A graduate of Bethel College with a BS in Nursing, Caitlin obtained her Masters in Nursing, Family Nurse Practitioner from IUSB. Prior to joining Michiana Spine, she spent three years working in orthopedics specializing in bone health and osteoporosis screening and education. 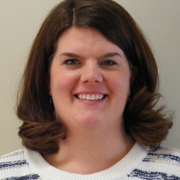 Caitlin is also on the faculty at IUSB as a Clinical Assistant Professor of Nursing and Graduate program Director. Caitlin strives to be a community resource for patients at risk for bone health complications and osteoporosis. She formed and leads Indiana's only support group for osteoporosis at the LifePlex in Plymouth. 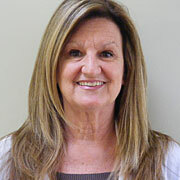 Caitlin was recently named President of CAPNI, the Coalition of Advanced Practice Nurses of Indiana. This organization advocates, promotes and supports Advanced Practice Registered Nurses (APRNs) of Indiana through networking, education and legislation that favors the full practice authority of APRNs. In her spare time, Caitlin enjoys traveling and spending time with her husband and two boys.